The AmeriHome Adjustable Height Wood Top Square Bar Table makes a great addition to your bar, game room, or basement. 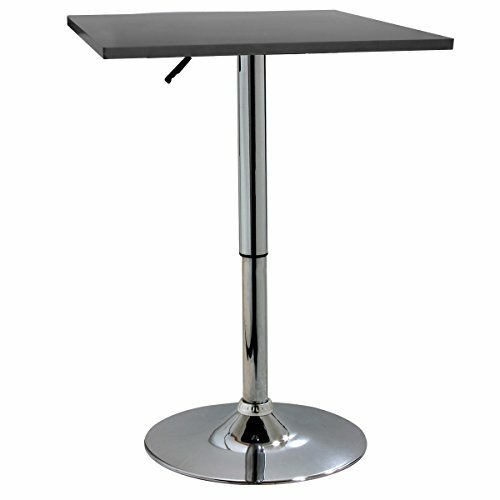 This Bistro Table provides a cost-effective way to add dining space to your kitchen, staff room, or restaurant. This table features a polished chrome base that is accented with a wood black top for a hint of classic vintage design. The tabletop is 24 inches square, making it big enough for a meal for two but still small enough to use space economically.